What a story and I have waited years for this book to come out and man did I love it so very much and so different from what I was expecting. This series is loosely connected with Johnston’s Bittner Creek series, only back in the 1800’s era instead of a contemporary setting. The first three books are based on this family of siblings, all orphans after their parents were killed. They are pretty close to each other. Josie had the worst of beginnings of them all though. 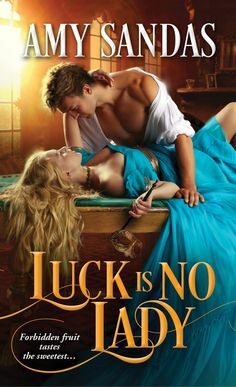 I didn’t expect this author to stretch herself and write a story set in Regency England, since she normally focuses on western themes, but she did a dang good job on this one and I was very impressed and I wouldn’t complain if she wrote more Regency romances because I fell in love with this one. Our heroine, has been working as a servant, protecting these two young boys as best as she can, and they are very close to each other. Our hero, has lost his wife and infant child and a part of him is still grieving. But a part of him has always been in love with Josie, ever since rescuing her from the indians two years previous. At first he has no idea that this woman offering him marriage in return for her fortune is actually the same woman that he fell for two years ago. I did find it a bit odd that he didn’t recognize her, but I guess she was badly beaten but I did find it a peculiar detail. Josie is obviously keeping a secret from our hero, but I understood why. 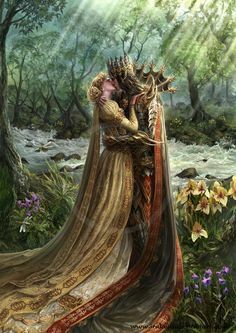 There are other factors involved into why Marcus was left in the dark, but if offers some conflicts that this couple has to face and I enjoyed the way they draw close to each other despite the misunderstandings and secrets that develop in the story, it doesn’t take too much away from the romance. and it did have some strong emotional undertones and I am curious to see what this author comes up with next. The one thing that really drew me to this cover, was the pose we have here. I love this cozy and tender pose we have here. And her dress is so pretty, and I like the red, it just works with the yellow. Blackthorne’s Bride is a sweeping tale that takes you from the wild west of the America’s to Regency England….a feisty and surprisingly enticing romance that takes you on adventure through the city streets of London and the countryside, and discover a powerful masterpiece of history and a delectable love story! !